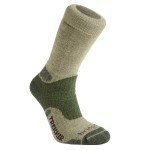 Designed for all year round comfort and warmth in the mountains and other cold environments. Perfect for the outdoor ventures during any season, anywhere, from mountain climbs to trail walks, the woolfusion warmth and softness (that's our Stan) ensures dry and comfortable feet. 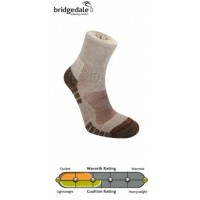 Bridgedale Comfort Summit Women's Walking Socks.